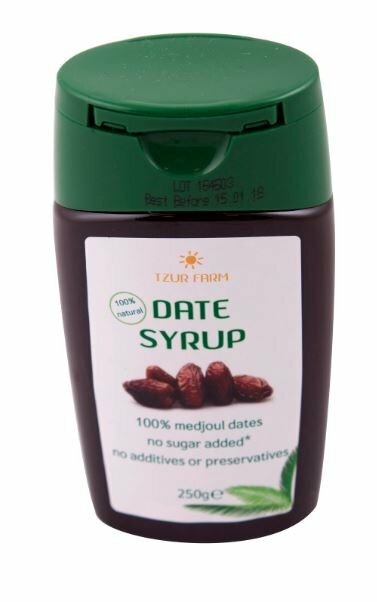 Medjoul dates syrup-Silan 250g - Mehadrin Tnuport Export L.P.
Silan, date-syrup production process relies on an advanced process that preserves the special values and flavors of the Medjoul dates from which we produce the silan. 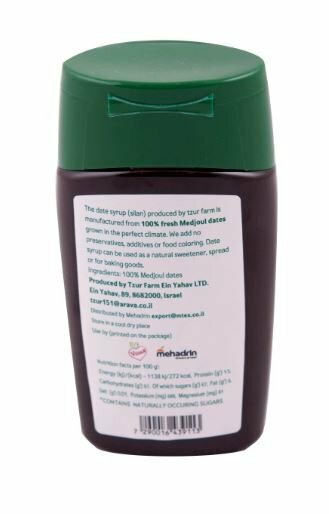 Silan is the product name of concentrated date syrup. Silan is made by boiling medjool dates in water and straining the juice first to make the syrup thicker. This date syrup as just as fluid as honey, but with the richer taste of caramel. Because silan is made exclusively with medjool dates, it is also healthier than honey and sugar, including brown sugar. 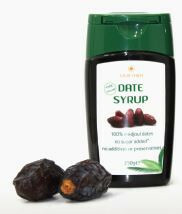 Date syrup contains the same nutrients as medjool dates. 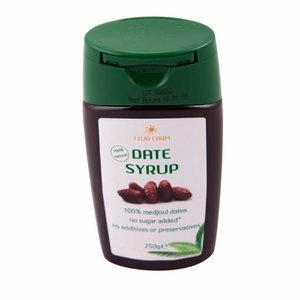 Date syrup contains minerals such as Magnesium, Iron and Calcium, vitamins such as B vitamins and Beta Carotene (vit A) and dietary fibre. Silan should be stored in a cool, dark place. 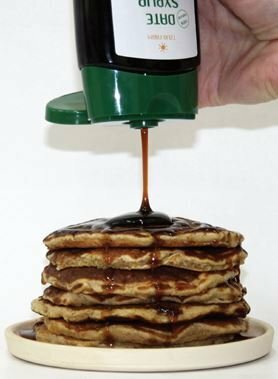 This syrup has endless culinary uses: dressings, meat, pastries and of course, it is delicious on pancakes!